Brad Keselowski will return to the Nationwide Series this week at Atlanta Motor Speedway after missing the last five races with a broken ankle. Keselowski has not missed a Sprint Cup Series race since breaking his ankle in a crash during a test session at Road Atlanta on Aug. 3. In the four races since that accident, he’s got two wins, a second- and a third-place finish and climbed into contention for a spot in the Chase for the Sprint Cup championship. But he sat out five Nationwide races while trying to give his ankle some rest. He said Tuesday night he knows his decision to return to the second-tier series will be criticized. Keselowski is the defending Nationwide champion. 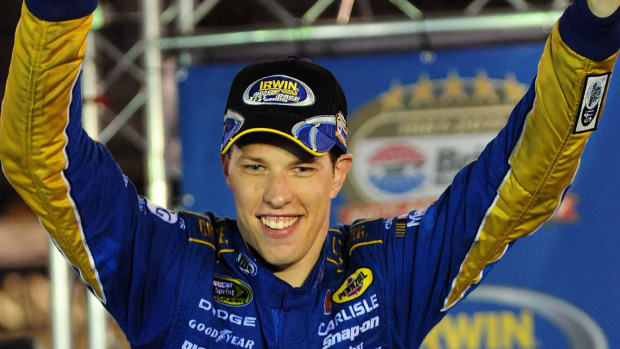 Keselowski indicated Saturday night’s win at Bristol Motor Speedway made it easier to return to his Nationwide car. The victory was his third of the season and moved him to 11th in the standings. At worst, he should claim one of the two available wild-card spots in the 12-driver Chase because of his win total. Since the accident, Keselowski has climbed 10 places in the standings. Keselowski has two wins and 13 top-10 finishes in 20 Nationwide races this season. Penske Racing teammate Kurt Busch drove his No. 22 Dodge to a victory at Watkins Glen as the replacement driver. Sam Hornish Jr., Parker Kligerman and Canadian Jacques Villeneuve have also driven the car during Keselowski’s absence. Keselowski has two top-10 finishes at Atlanta in four career Nationwide starts. His best finish there in two Cup starts was 25th last September. In his first Cup visit there in 2010, intentional contact from Carl Edwards sent Keselowski’s car sailing into the fence.